Tmart.com provides a majority of well-known products with low price, worldwide free shipping and superior customer service, including cool gadgets, cell phones, consumer electronics, LED flashlight, car accessories, phones accessories, computer accessories, games accessories, holiday gifts, security camera and more. Capable of creating a screen from 30" to 150", this PH5 Home Cinema Business Use 2500 Lumens 2000:1 Contrast Radio 800 x 600 Resolution LCD Projector is perfect for a dorm room or business office use! Adopting high-quality materials and LED bulb, this LCD projector is durable in use. It projects a brilliant image onto your wall at a 2000:1 contrast ratio. Current Labels is your premier source for personalized printing for the home and office. Customize stationery, checks, address labels, gifts, photos, and more. A professional and unique way to identify yourself to friends & associates! These double-sided calling cards can be personalized on the front as well as the back! Your choice of either Block or Script print style (for the back of the card only). Calling cards measure approximately 3½" x 2". Promo Direct is one of the nation's leading promotional products suppliers, with thousands of satisfied customers and tremendous buying power. Ruled format, seven monthly calendar blocks per spread and screened weekends. Includes three-year reference calendar, holiday listing, advance planning, area code listing, travel information, financial information, metric conversion, special information, conservation and recycling, toll-free numbers, perforated memo pages and special investor’s information section. PCRUSH.com was established in 1998 as an online retailer to provide a full spectrum of products to corporate and consumer users. Produce vibrant color materials at blazing fast speeds with the Canon imageCLASS LBP7780Cdn. The LBP7780Cdn is equipped with a large and expandable paper capacity, automatic duplex printing, and high yield replacement cartridges which help to increase productivity while reducing costs. From serious to sassy, always have the perfect birthday cards on hand. 5" x 7"; includes white envelopes. Printed in the USA! Artistic Labels is your shoppers' source for everything personalized for your home or office, kids and pets. These rolled address labels can be personalized with up to 4 lines, limit 28 letters and spaces maximum per line. Choose Block or Script type style. Address labels measure approximately 2½" x ¾". Our elegant round dispenser is included with every order. 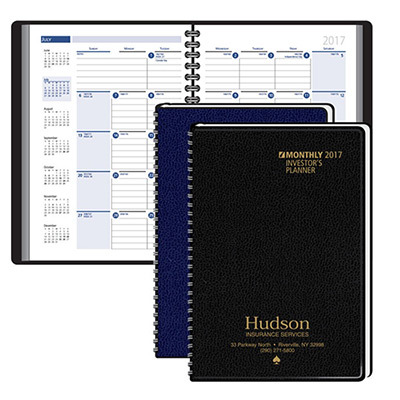 Day-Timer® offers quality planners for professionals, unique school planners for students, and personal organizers designed just for busy people that help you better manage your schedule and be more productive at home, work, and on-the-go. Zips at top to secure files, tablet, a laptop up to 15" and more. Outside Zippered pocket keeps your phone, keys, I.D. within reach. Double straps with 14" drop with silver hardware. A simplistic design can be a beautiful design. This wirebound planner features a black and white striped cover with both weekly and monthly two page spreads. Large, open writing areas help a busy professional stay organized. Microfibre and leather-look tablet case with magnetic wrap closure. For over 150 years, ACCO Brands has been helping individuals and businesses with planning, organizing and learning. Today, we market our products in more than 100 countries through our sales force and numerous distribution networks. Designed with the busy mom in mind this Day-Timer® organizer comes pre-filled with two page weekly and monthly spreads. There is lots of room to plan out both home and work-related tasks and bonus pages for added convenience, such as perforated shopping lists, are included. OfficeSuperSavers offers unbeatable prices on office products. They have combined the value of warehouse club pricing with the convenience of shopping online. Concorde is a dual purpose chair line: intended for both sophisticated executives and for challenging 24 hour environments that require deep comfort and adjustability. LBC Modern is about modern lifestyles. From kitchenware, bed & bath, stationery, lighting to personal gift accessories, we offer the best and latest designs for today’s lifestyles. LBC Modern offers popular brands such as Alessi, Kartell, Blomus, Eva Solo, Jospeh Jospeh, Design House and many more. Designed by Achille Castiglioni, this wrist watch is made of stainless steel with leather strap. Castiglioni wanted to create an easy to read yet humorous watch. The case, made of stainless steel can be removed entirely from the band. The dial artwork was designed by his friend, Swiss graphic designer Max Huber.